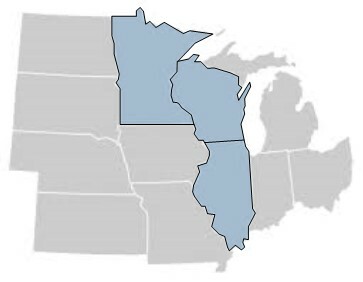 Founded in September 2008, the Western Great Lakes Chapter includes Illinois, Wisconsin, and Minnesota. We are a fast-growing chapter, we had approximately 140 members during 2017-2018 and hope to maintain or increase membership during 2018-2019. As a chapter, we organize tours and workshops, co-sponsor events with local and statewide preservation organizations, host an annual symposium, and host an annual meeting. We support preservation students and young professionals by offering scholarships and outreach for student chapters. We invite you to look around our website to learn more about our organization as well as APTI. The Association for Preservation Technology International (APT) is a cross - disciplinary, membership organization dedicated to promoting the best technology for conserving historic structures and their settings. Membership in APT provides exceptional opportunities for networking and the exchange of ideas. APT members, who hail from more than 30 countries, include preservationists, architects, engineers, conservators, consultants, contractors, craftspersons, curators, developers, educators, historians, landscape architects, students, technicians, and other persons directly involved in the application of methods and materials to maintain, conserve, and protect historic structures and sites for future use and appreciation. The international, interdisciplinary character of APT - with its outstanding publications, conferences, training courses, awards, student scholarships, regional chapters, and technical committees - makes it the premier worldwide network for anyone involved in the field of historic preservation. To help promote APTI when giving presentations, APTI has developed some informational PowerPoint slides to add to your PowerPoint presentation. Download the PowerPoint images and a suggested script below.